Over 2 million patients suffer from diabetic foot ulcers every year, and many go untreated or unnoticed. 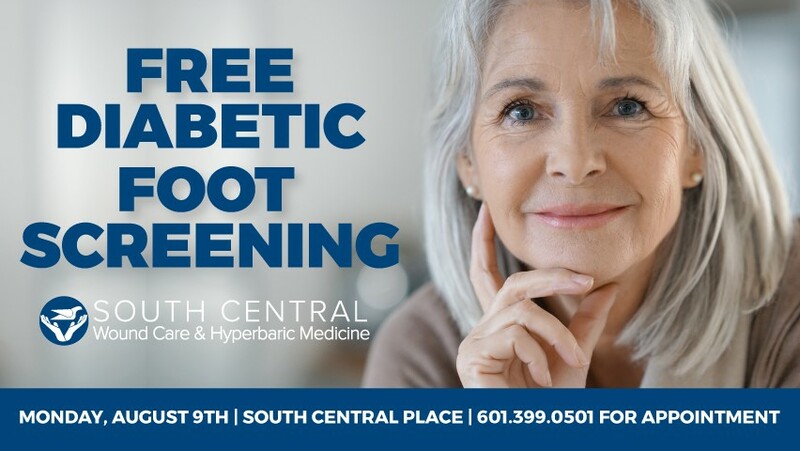 South Central Wound Care and Hyperbaric Medicine will hold a free diabetic foot screening on Thursday, August 9th at South Central Place in Laurel. To schedule an appointment, please call 601-399-0501. The screening is free, however an appointment time is required.